20 years ago, Fela Anikulapo Kuti joined his ancestors and that year the world watched as almost a million people trek with his remains from Tafawa Balewa Square to his final rest place at Kalakuta. Wednesday, August 2, marks his death anniversary and Nobel Laureate Wole Soyinka decided to shower the legend with praises. He took to his Instagram page to reminisce the death of his younger cousin. “The news came on my portable radio and it sounded so strange, a floating contradiction that was at once detached from, yet infused with the world from which I had myself just earned a lover’s rebuff. 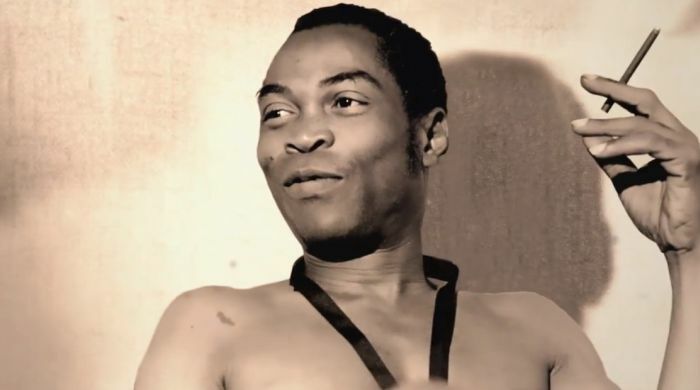 My young cousin, the ‘ abàmì èdá ‘ that the world knew as Fela, was dead. He had not yet attained his sixtieth year. A naked torso over spangled pants, over which a saxophone or microphone would oscillate on stage, receiving guests or journalists in underpants while running down a tune from his head, in the open courtyard at rehearsals or in any space where he held court – all constituted the trademark of his unyielding non-conformism. Far more revealing than such skimpy attire, however, was his skin-taut skull and bulging eyes, permanently bloodshot from an indifferent sleeping routine and a dense smoke diffusion. His singing voice was raspy, not intended to entice but arrest with trenchant messages. Fela Kuti was born on October 15, 1938 and died August 2, 1997. He spent his life entertaining people and criticizing the inhumane policies of Nigerian government.